Made of a rugged fabric material, Wayne Dalton’s Model 883 ADV-X strutted high speed fabric door is designed for applications where a fast-acting exterior door is needed. Model 883 ADV-X’s strutted design allows for quick section replacement, while reducing curtain deflection under pressure. 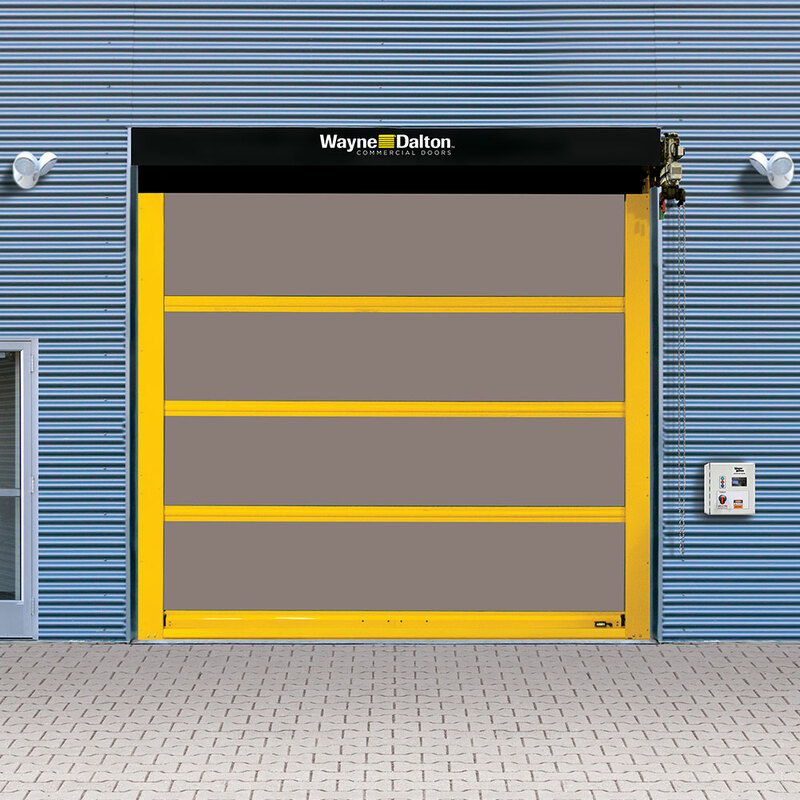 This door is capable of withstanding pressure of up to ±4 psf or 76 mph and can operate under pressures up to ±2.5 psf or 53 mph. Model 883 ADV-X is designed to be low maintenance and includes such features as breakaway impact detection and push button self-repair, along with plug and play wiring. Standard color for guides, brackets, struts and bottom bar is yellow. Approximately 200 optional RAL powder coat colors are available for guides, brackets, struts and bottom bar. Online color swatches are only digital reproductions of actual standards and will vary in appearance due to differences in monitor and video card output. These digital representations should not be used to finalize color selection(s). Please contact your local Wayne Dalton Dealer for actual color samples to match with your home or business. Download documents in the Architect Resource Center.